What Does Final Expense Insurance Really Cover? When most people think of final expense insurance, they think of covering funeral costs – and for good reason. But you probably didn't know that final expense insurance covers a lot more than just funerals and burial expenses. Travel/lodging expenses for those making the trek to your funeral. It’s important to consider any and all costs your family might be facing upon your passing. Also, when you’re thinking about what costs you’ll need to cover, account for inflation and and the rising costs of health care and funeral costs. It's expected that in 20 years, the cost of funerals will double. Health care costs are rising, and they’re generally pretty high at the end of life with medical conditions being highly responsible for most deaths. Any outstanding loans (such as a car or mortgage) or credit card debt will be left to the family upon death. It’s important to discern what you expect those debts to be so that your family won’t be burdened with them. In order to even settle an estate, the ongoing household expenses must be paid up. That includes rental payments or the mortgage, home insurance, and utilities. To ensure you plan property, add up what a month of these household expenses would cost, and plan for that in your final expense policy. Various legal expenses can arise upon death, such as probate, taxes, and other estate matters. It’s important to talk with your lawyer to determine what these costs might be for you. If your family lives in another state, they will need to pay for travel expenses as well as lodging once they arrive. To ensure your family can afford the trip, you can account for these costs in your final expense policy. 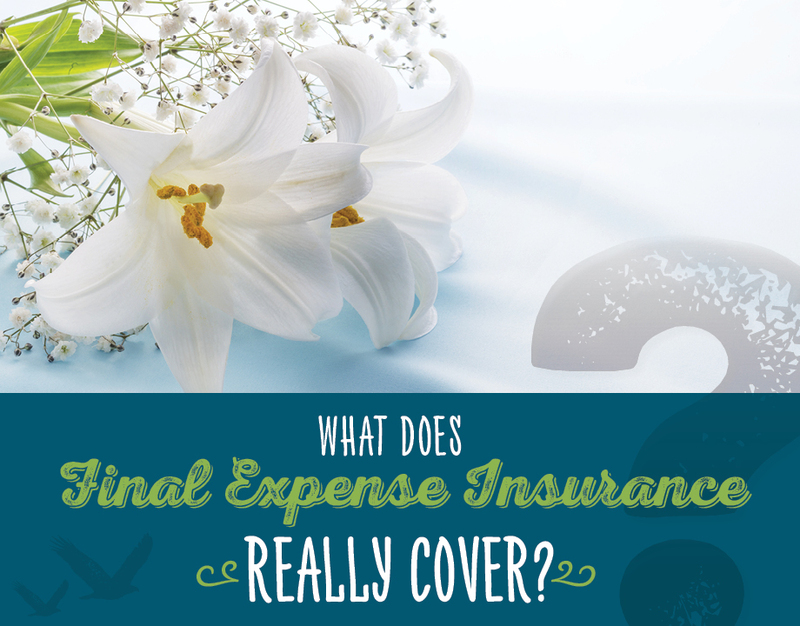 When we think of final expense insurance, we think of the actual cost of a funeral. The national average for standard selections is about $8,000. A lot goes into this calculation, so we’ve broken this down to give you a better idea of the costs involved. Keep in mind that opting for a cremation is about a third of the cost a traditional burial. This includes the use of the facility for viewing purposes as well as the ceremony. Included in this is the “basic services” fee, which runs at about $1,800-$2,000. There’s also fees involved with simply using the home for viewing purposes as well as the ceremony. Those fees run between $595-$915. Transferring the deceased costs anywhere from $310-$725. If the body needs to be transferred internationally, those costs can end up between $5,000-$8,500. Having the body embalmed costs around $695, and the preparation of the body costs around $250. The use of a hearse costs about $275-$325, and the service car runs at about $125-$145. The average cost for a single burial plot in a public cemetery runs around $200-$2,000. This is entirely dependent on the location of the cemetery. Another option is a single burial plot in a private cemetery – this is more expensive, costing between $2,000-$25,000. A casket and vault can vary greatly in cost depending on the material and size of your choice. A grave liner costs between $700-$1,000. Burial vaults can range from $900-$13,000. Caskets can range from $2,000-$10,000. A cheaper material like metal or plastic will err on the lower side while a more expensive material like mahogany or copper will err on the higher side. And if you choose a luxury casket with high-end materials and an intricate design, you’re looking at $35,000 or more. Many families choose to do cremation rather than a traditional burial. This is significantly less expensive, but it’s still a big cost. A simple cremation costs between $1,500-$3,000 if you arrange it with the crematory directly. If you make the arrangement with the funeral home, the costs range from $2,000-$4,000. Flowers aren’t generally included in funeral packages, and they can come up unexpectedly as you make last-minute arrangements. The cost for a single floral arrangement costs around $50-$80, while floral tributes or wreaths can cost over $100. The intricate, lengthy arrangements you see on top of caskets can cost more than $700. Many families don’t think about the cost of catering and food after the funeral. Will it be a potluck, or would you rather have food catered? Talk about this with your family so that you’re prepared for the potential costs. The average obituary costs from $200-$500. 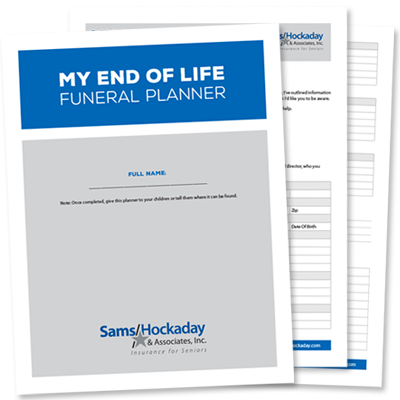 Sometimes, the funeral home will include this in their basic package, but be aware of the cost if they don’t. Newspapers often charge by line or by inch, so the longer the obituary, the more expensive it will be. A flat grave marker costs anywhere from $95-$1,000. If you prefer something that stands upright, it can cost from $1,000-$10,000. As you can see, the cost of the funeral adds up quickly, and if you tend to go for upgrades, you’re looking at costs exceeding $10,000. You can’t account for every possible scenario with a final expense policy – these insurance policies generally allow you to purchase under $50,000 worth of insurance. Some only go as high as $25,000. If you expect your costs to exceed this amount, it’s time to look into a more robust permanent policy. I was signing up for Medicare first time, needed supplemental plan . Very helpful finding good plan with affordable premium. Follow up annually to see if still the best plan. Good service, friendly.